SAVE TIME – Buy Tickets ONLINE to Bennett’s Curse Monster Fest ! Tickets includes admission to all haunted attractions! 10% Admission and Amusement Tax is included in the price of the ticket. We ONLY accept CASH at the box office. ATM on-site. Credit cards CAN be used through online ticketing only . Buy Tickets to Bennett’s Curse Haunted House in Baltimore, Maryland. Prices are for all ages. This haunted attraction is not recommended for children under the age of 10. Parents please use your own discretion. Children under 10 must be accompanied by an adult. For your convenience, we are offering online ticket sales. Coupons not valid with on-line ticket purchases. Competitor coupons are valid at the gate as well. We will honor the fine print on the coupon as presented. 1.) NO WAITING IN THE TICKET LINES SAVE UP TO 30 MINUTES OR MORE OF WAIT TIME. 2.) GUARANTEE TICKETS FOR THE DATE OF YOUR CHOICE. 3. )PRINT YOUR TICKETS AT HOME. 4. )BUY TICKETS TO ALL ATTRACTIONS, USE THE TICKETS ON THE DATE CHOSEN , AND SAVE TIME. Click on the Buy Tickets Now to Save Time. Bennett Entertainment LLC reserves the right to refuse admission to anyone. Holder of the ticket understands that there is inherent risk involved with attending Bennett Entertainment LLC Haunted Attractions. Holder voluntarily assumes all risks and dangers associated with participation in Bennett Entertainment LLC Haunted Attractions. In consideration and acceptance of entrance into Bennett Entertainment LLC Haunted Attractions holder agrees to release the operator, it’s parent LLC, affiliates, officers, directors, employees and landlord from any liability, harm, injury or death, cost or expense whatsoever that may arise directly or indirectly from attending Bennett Entertainment LLC Haunted Attractions at these locations. When you place an order for tickets with Bennett Entertainment LLC you will be transferred to a secure website. Tickets purchased online are valid for the date purchased. All online ticket sale holders can bypass the onsite ticket sales box office lines and go immediately to the general admission, Speed Pass or VIP attraction lines based on ticket type purchased. If you purchase a ticket from anyone other than Bennett Entertainment LLC you take the risk of being scammed. At any time prior to entry into the attraction the Speed Pass can be upgraded from general admission ticket at the event box office for only $10 more per ticket. This ticket grants you access to the VIP line with next in line access and is given preference over the general admission and Speed Pass ticket holders. This type may be purchased on-line or at the event box office. Please proceed to the VIP line once you arrive at the attraction. 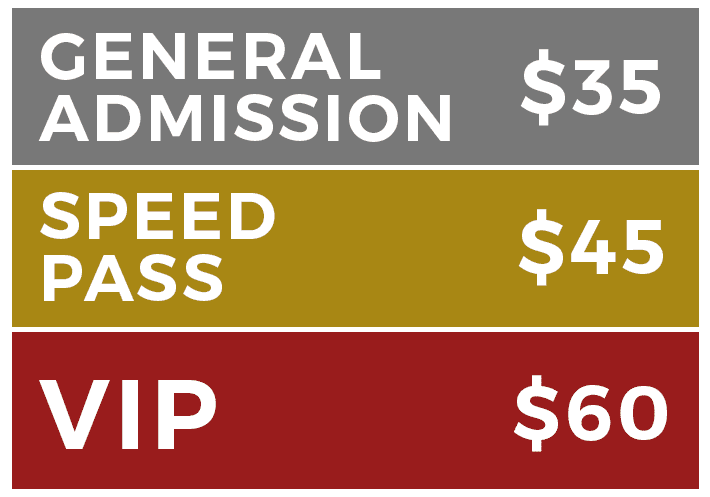 At any time prior to entry into the attraction the VIP can be upgraded from General Admission or Speed Pass at the event box office for the difference in price paid. Special pricing for buying 20+ tickets at one time. Please contact our group sales by sending an email [email protected] to inquire about group tickets of 20 or more. All online ticket purchases are printed from your computer; you can print your tickets or show the bar code on your phone when you arrive. Bennett Entertainment LLC Attractions will not close due to normal seasonal weather conditions. Please visit the news section of our website or our facebook page for updates on weather related concerns. If we do close due to abnormal weather your tickets can be used another night.